Umbrella insurance covers liability claims which exceed the limits of your personal automobile and homeowners’ policies. Umbrella liability is sold in layers of one million dollars so you can build the proper level of coverage. Commercial umbrella liability insurance similarly extends the limits of basic general liability and business automobile along with other liability policies. Go on line to TheLaVigneGroup.com for a quote on your home and auto. Your insurance professional can explain the details of umbrella insurance more thoroughly, please call the LaVigne Group. The umbrella policy broadens coverage by extending the coverage territory to worldwide. For example, automobile policies cover the United States, Canada and US possessions. Europe and Mexico are not included in the covered territory. Umbrella liability fills this gap in your underlying coverage. When a claim is covered first by the umbrella liability policy, for example: that car wreck in Mexico, you pay a retention. Deductibles are the first dollars of actual damages, like the first five hundred dollars of body work. Retention is the first dollars of all claims costs: attorneys, claims adjusters, court costs or any other expense. So, whether or not you’re found liable for damage, you pay the first costs associated with the claim. Retentions typically range between one thousand and ten thousand dollars on individual policies. Commercial umbrellas have a wider range to fit specific needs. Umbrella liability policies add broader and higher levels of protection for your assets. Protect your assets properly. Million dollar judgments, although relatively uncommon, are more frequent than thirty years ago. 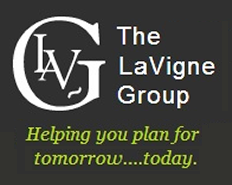 Call your professional agent at the LaVigne Group to discuss your proper level of protection.